Athletic Bilbao are a tough team to beat at home and they can follow up Thursday's Copa del Rey first-leg 2-1 win over Barcelona by defeating Alaves in their first La Liga match of 2017. The Basque outfit, who started the weekend three points outside the top four, have won seven home matches in succession and can end mid-table Alaves's seven-match unbeaten run. Leganes look well placed to avoid relegation this season, but they have won just one of their last nine league matches and need to improve to quash any lingering drop doubts. However, Betis have been solid at home, losing just twice this season so the recovery may have to wait another week. A lack of consistency was an issue for Celta Vigo in the first four months of the season but they have won five of their eight La Liga home games and can defeat struggling Malaga. The winter break may have come at a good time for Celta, who sometimes found it difficult to cope with the added demands of Europa League football. Barcelona have work to do in the Copa del Rey after losing the first leg 2-1 away to Athletic Bilbao and the difficulty of their La Liga title push could be increased by a draw at El Madrigal. 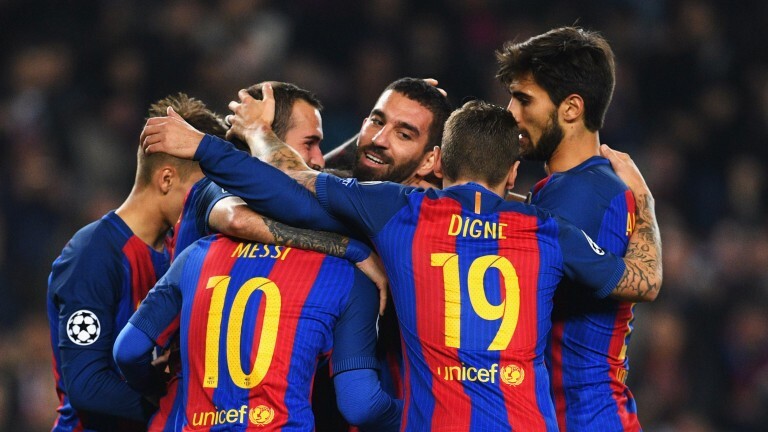 Barca have been more consistent on their travels than at home but have shared the points on two of their last four trips to Villarreal and face another tough task against a team, who have dropped just five points at home this season.